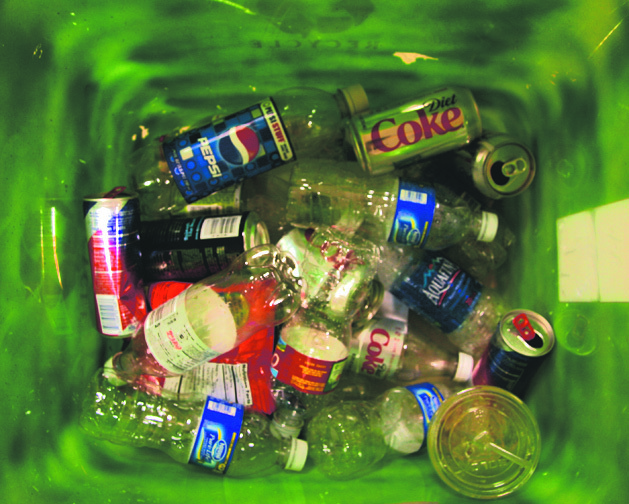 OCCC does an exceptional job in being good stewards when it comes to recycling on campus, said Chris Snow, Facilities Management assistant director. He said colleges and universities require large quantities of materials, which often result in large volumes of waste. “Therefore … it is imperative to establish waste management, waste reduction, recycling ethics and strategies,” Snow said. Snow said he hopes all students will make an effort to be part of OCCC’s ongoing recycling efforts by disposing of recycled material in the proper receptacles. Even if locating the nearest recycling container is not the easiest step to take, Snow said, everyone should do what is right when considering recycling. Premed biology major Sierra Thorp said she recycles often when she’s on campus. “I notice [the OCCC recycling efforts] more than other schools,” she said. Snow said if he could change anything about the recycling on campus, it would be for the state to provide more incentive for recycling. “It costs us money to recycle, and we do not have a zero balance nor a profit from recycling,” he said. “It costs us money to recycle and that doesn’t make sense to me. Starting July 1, Republic Services will be contracted as OCCC’s waste and recycling removal company, said John Boyd, vice president for Business and Finance. According to Republic Services’ website, generating and tossing less recycleable items, is an important step in reducing environmental footprints. “Together we can transform the materials that collectively used to be known as garbage or waste. We can then recycle all we can and safely dispose of whatever is left,” according to Republic Services’ FAQ page. Snow said OCCC can take other actions toward going green besides recycling. “As an extension of programs that are already involved, I think that we could also look into composting opportunities here on campus,” he said.